I do often find the books written by mystics as mystifying! And so put them down quick; and I don’t think I’m the only one. People often view mysticism as confused, irrational thinking. Sometimes I feel mystics intentionally obscure the meaning of something to make it more difficult to grasp. That is when I long for the clear albeit doctrinaire statements of orthodox religion or for that matter the dogmas of materialistic science. At least they do not so obviously contain contradiction and paradox. Yet occasionally I do get glimpses of something in the writing of mystics. This, I can only describe, as giving me sudden deep moments of intuition. Still keen to get a handle on the mystics, I recently started reading Hymn of the Universe. Teilhard de Chardin wrote this piece. Experts say his words are part of the treasury of mystical literature. A love and respect for so many people trying to fulfill what he calls the creative Energy. I felt a universal humanity with all its separate parts working together complementing each other to bring about heaven on earth. Is this not a love for his fellow man whom he asks God to “receive” and with whom he asks “Lord make us one”? Mystics come from different religious backgrounds. They form sub-currents such as Kabbalah within Judaism, Sufism within Islam, Vedanta within Hinduism, and Christian mysticism within Christianity. 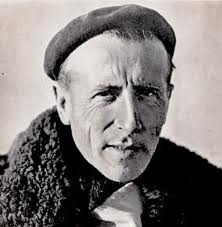 Teilhard de Chardin comes from a Roman Catholic background. He demonstrates a basic Christian attitude. Of ourselves we are lifeless but the divine life can infill us if we turn to it. Here we have the characteristic of mystical writing – poetry disguised as prose. Little or no attempt to provide rational coherence and structure but rather we get a subjective expression of devotional emotion. Nevertheless in other of his writing he was a leading proponent of the idea that evolution occurs in a directional, goal driven way rather than due to the accidents of natural selection. Trained as a paleontologist and geologist as well as a Jesuit priest, he had a reverence for the natural world and a continual awareness of the spiritual. This reminds me of the mystical idea of the whole of creation as mirroring the Divine soul operating in the world of people. Where accepted it is shown in the beauty of nature. Every single thing within the natural order should be cared for because it is an image of the Divine. In each thing we see in the forest, on the mountain and in the sea, something that meaningfully represents the spiritual dimension. It is difficult to find words to express and describe meaningful insights. And so the perceptions of the mystics are often regarded as ‘hidden secrets’, or ‘esoteric knowledge’ – and for the initiated only. Yet mystics themselves often seem to think that what is out of sight can be found by every person. It is said to be there in all of us, it is just that but we may not yet be able to recognize it. Likewise according to Emanuel Swedenborg — who also came from a Christian background, and who also had mystical experiences — no matter how well educated and intelligent you are, you need inner enlightenment from the Lord to perceive spiritual matters. He claimed this inspiration is the illumination that the angels of heaven enjoy and comes to those who are closely linked in their hearts and minds with the spirit of love and truth. The ideas of natural thought are to do with place, time, person or material objects. These cannot provide the deep insights of the mystic. Calm mind – How to find it it in daily life?